With the advent of digital devices and software, self-tracking practices have gained new adherents and have spread into a wide array of social domains. The Quantified Self movement has emerged to promote 'self-knowledge through numbers'. Start reading The Quantified Self on your Kindle in under a minute. "Lupton's book is an excellent primer for readers interested in data surveillance, self-tracking cultures, and the increasing push to metricize aspects of personal experience that were previously not considered in statistical terms. Lupton's insight that no one alive today is exempt from becoming subjectedto digatization lends her project great immediate urgenc." 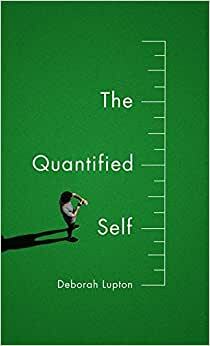 "The Quantified Self offers an excellent overview of the breadth and depth of issues related to self-tracking cultures. It is not only a useful resource for scholars and practitioners focusing on the value of quantified data with regard to health and bodily practices, but also an invitation to use self-tracking research in new kinds of political initiatives. Ultimately self-tracking is defined as a means of communicating and challenging dominant interests and aims." "Lupton's book is a fascinating read and I highly recommend it to researchers and practitioners who wish to gain a comprehensive account of self-tracking practices. Along with the commonly discussed topics of motivation and data representations, Lupton sheds light onto less explored topics, such as data-surveillance, while offering various theoretical foundations to support her arguments. Her writing is both visionary and provocative, and the book is a must read for researchers and practitioners of the Quantified Self movement." "Impressive and comprehensive overview of the way in which people are tracking their lives using digital technologies"
"The Quantified Self is a careful, evenhanded survey of a trend that is on the cusp of seeming so ubiquitous that we'll soon forget how utterly specific the problems associated with this aspect of our sci-fi future are to the wealthy countries." This is another "critical sociocultural analysis" of the self-tracking phenomenon, similar to Quantified and Self-Tracking. Lots of food for thought, but not a book that was written for practitioners. This is superbly written update and interpretation of the self-tracking culture.